We love a quick easy recipe that you can quickly pull together before rushing out the door for the day ahead. Granny Blossom's recipe for Smokey Apple BBQ Sauce Pulled Pork is guaranteed to be a new family favorite. This recipe consists of 3 ingredients. So easy and delicious! The slow cooker is a great way to cook on those hot summer days when you don't want to turn on the oven or even stand over the grill. The low slow cooking of the pork ensures that you will have mouth watering tender and delicious pork when you come home for dinner. 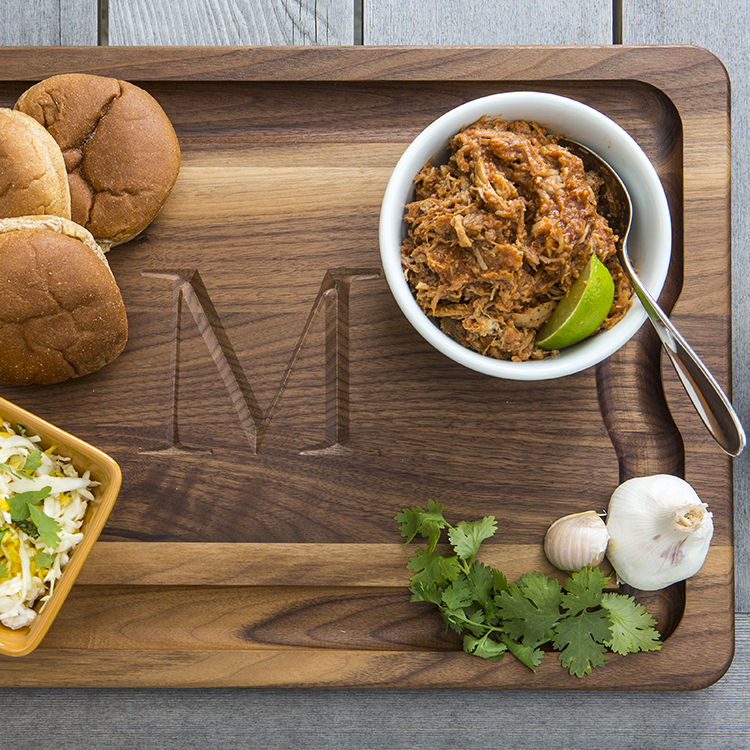 We recommend taking your JK Adams cutting board and laying out the sandwich rolls, putting out a bowl of coleslaw and Vermont sharp cheddar and allowing everyone to build their own pulled pork sandwich. Enjoy! Recipe Courtesy of Granny Blossom's of Vermont. Place meat and 1/2 jar of sauce, and 1 cup of water or apple cider in slow cooker. 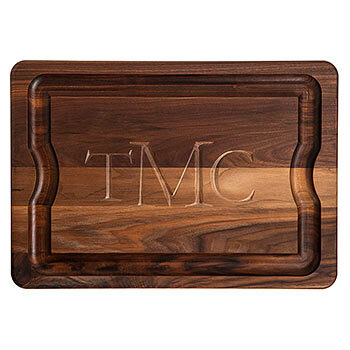 Remove Pork Shoulder from slow cooker and put on your JK Adams Carving Board. Take two forks and pull the pork into smaller pieces of meat. Place meat back into the sauce in the slow cooker. 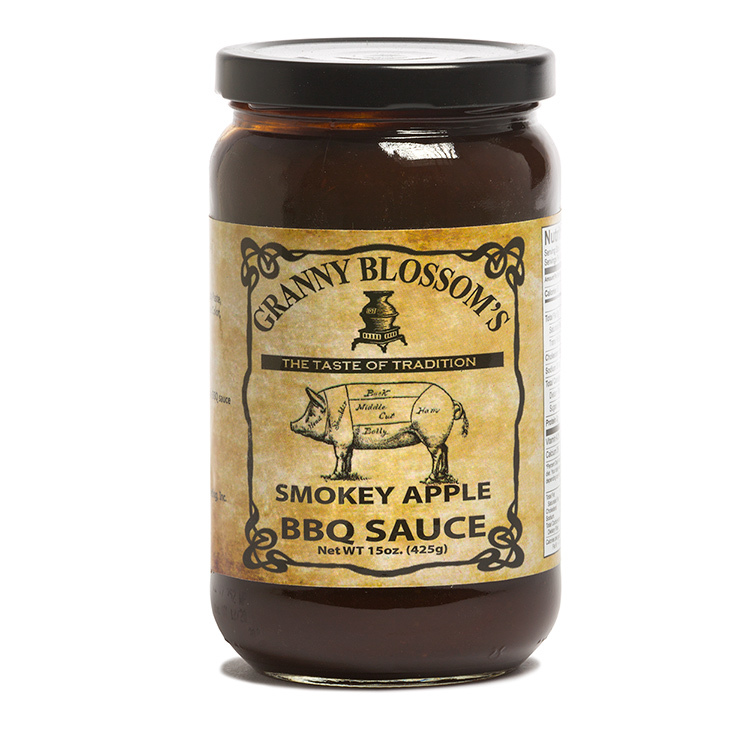 Add additional Smokey Apple BBQ Sauce to thicken sauce if needed. Serve with buns, coleslaw and cheese. Let everyone make their own unique pulled pork sandwich.